American serial killers Gwendolyn Graham was born on August 6, 1963, and Cathy Wood was born on March 7, 1962. The female killing duo was also known as The Lethal Lovers. Gwendolyn and Cathy were arrested in December 1989 in Walker, Michigan and was convicted of killing five senior females from January 1987 to February 1987. The duo were nurse"s aides in the Alpine Manor nursing home where they took their victims lives. Gwendolyn started to work at the Alpine Manor nursing home shortly after moving from Michigan to Texas. Gwendolyn met Cathy at the nursing home and quickly became friends leading into a love relationship in 1986. Cathy and Gwendolyn were charged for smothering five senior females to death just two years after working together. Cathy Wood confessed their crimes in details to criminal justice authorities resulting in her murder charges to be reduced because she also agreed to testify against Gwendolyn Graham. 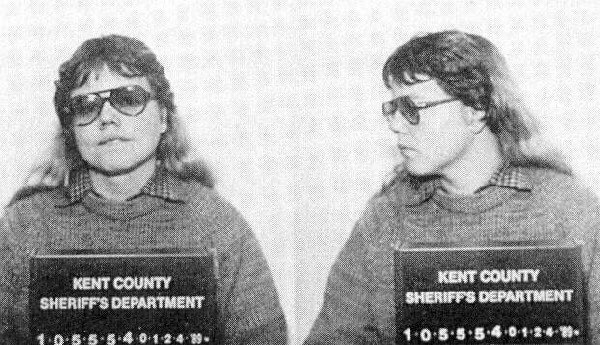 Gwendolyn was on trial for first-degree murder because Gwendolyn carried out the killings as Cathy was the lookout person. Cathy said that Gwendolyn smothered a female with Alzheimer"s disease in January 1987 with a washcloth while she/Cathy was the lookout. The Alzheimer"s disease patient in January 1987 was their first victim, and they were not caught because the female"s death appeared to be of natural cause and an autopsy was not done. Cathy said that Gwendolyn needed to "relieve her tension" and killing the female helped her to relieve her stress. Gwendolyn and Cathy both felt that neither of them will leave each other because of the murders being committed. Gwendolyn killed four more patients ranging from 65 to 97-years-old at the Alpine Manor over the next few months who were either incapacitated or suffering from Alzheimer"s disease. Cathy testified that they turned their killing spree into a game where they would choose their next victim by their initials to spell M-U-R-D-E-R, but that did not work, so they began counting their murders as a day. Cathy also said in trial that Gwendolyn took souvenirs from their victims so that she can relive the murders/deaths but police did not find any souvenirs. Cathy revealed in their trial that Gwendolyn was the extremely sexual, physical and emotional one who was dominant in their relationship. Gwendolyn Graham began dating another nursing aide who was also female and working at Alpine Manor which resulted in Cathy ending their relationship. Gwendolyn and her new love partner moved to Texas where they both work at a hospital where they took care of infants. Cathy told her ex-husband about the murders that she and Gwendolyn committed and he informed authorities leading to an investigation in 1988. The Walker Police Department detectives questioned Cathy Wood extensively in several interviews. Cathy eventually broke and portrayed Gwendolyn Graham as the one who committed the murders and came up with the plans. Two nursing home victims bodies were exhumed, but medical examinations did not reveal evidence of homicide. The county medical examiner ruled the exhumed body deaths as homicides because it is heard to determine if a person was smothered to death from a exhume body. Cathy Woods (apprehended in Walker, Texas) and Gwendolyn Graham (apprehended Tyler, Texas) was arrested on December 4 - 5, 1988. They were charged with two counts of murder. Cathy Woods" plea bargain so that she can receive a reduced sentence. Cathy said she was the lookout person and the one who distracted supervisors so that Gwendolyn can carry out the murders. Gwendolyn testified that Cathy was the mastermind behind the killings, but Gwendolyn"s new girlfriend testified that Gwendolyn had told her that she killed five people. Gwendolyn Graham was found guilty on November 3, 1989, for five counts of murder and one count of conspiracy to commit murder. She received a sentence of five life sentences which is being served at the Women"s Huron Valley Correctional Facility in Pittsfield Charter Township, Michigan. Cathy Wood was only convicted of one count of second-degree murder and one count of conspiracy to commit second-degree murder. Cathy was sentenced to 20 years in prison on each count and was eligible for parole on March 2, 2005, but is still incarcerated in the Federal Correctional Institution, Tallahassee, Florida. Cathy has an expected released date of June 6, 2021. Gwendolyn Graham serial killer is a female serial killer. The Lethal Lovers is a female serial killer.